The Asphalt Pavement Association of NM is a non-profit organization headquartered in Albuquerque that is focused on promoting and advancing the asphalt industry in the state of New Mexico. The APANM asked advertising agencies to submit proposals for creating a logo, business cards and website. Fortunately for Encite, the APANM chose us from a pool of very capable advertising agencies! 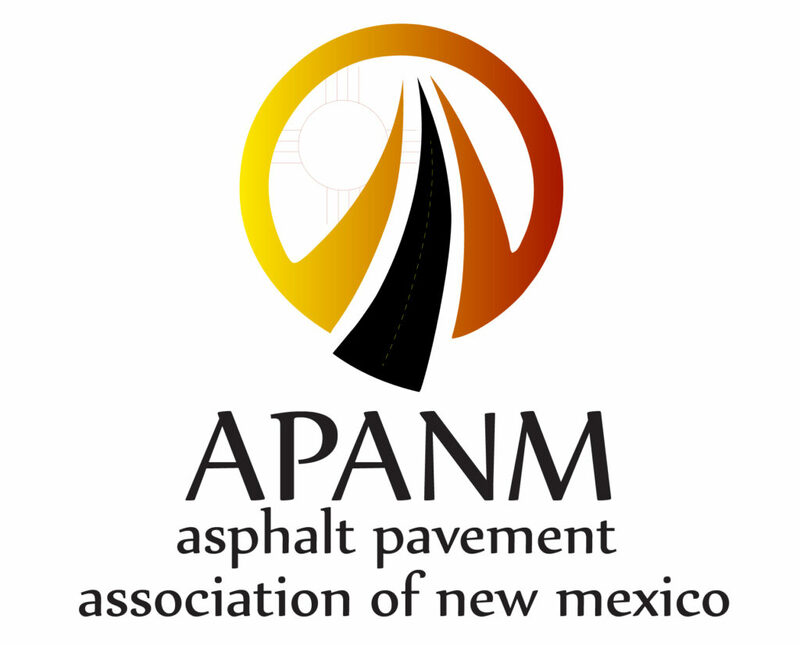 The Board of the APANM wanted to make sure the logo of the organization reflected the history, culture and beauty of the Land of Enchantment while ensuring viewers of the visual identity immediately knew they were in the asphalt industry. So in keeping with the NM brand, we incorporated the yellow and red colors of the state flag while integrating the Native American history by including the Zia symbol. We also wanted to pay tribute to their many mountain ranges so we had some abstract mountain artwork included as well. For their web development and design, we built the APANM site in WordPress, which makes it simple for organization volunteers to add posts, pages and events.. Please note: In addition to logo design, corporate identity, and web design, our advertising agency in Denver, Colorado also offers: media planning and buying, strategic planning, branding, graphic design, and event marketing.